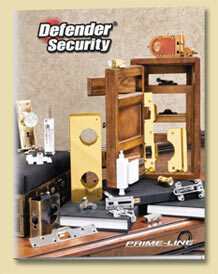 Prime-Line�s Defender Security� products are the world�s leading brand of residential home security hardware. Our unique and innovative line provides security for entry doors, windows and sliding patio doors of every type and manufacture. We also support mail box locks, and bit key mortise locks for vintage, interior door systems. Continuous product innovation, new product development, and effective quality control ensure Defender Security products will promote peace of mind for homeowners in today's uncertain world. Prime-Line Products, with over 80,000 part numbers, is the largest supplier of window and door hardware in the United States. Operating from five locations across the country, we have office, warehouse and distribution space totaling over 720,000 square feet. 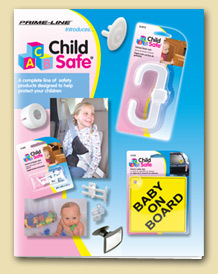 The Ultimate Door Jamb Reinforcement and Repair Product.